The following Forgestar and CCW wheels with the appropriately sized tires (see bottom of page) will fit the SL-C and GT-R. Your choice of any of the Forgestar wheels listed here are included in the kit, but the CCW wheels are an optional upgrade. We have the wheels shipped to us unfinished to prevent damage during transit and we powder coat them for you in just about any color. Note that not all wheels are available in all sizes. All units are in inches. Forgestar wheels uses an exclusive Rotary Forged Flow Forming technology for strength and performance. All wheel designs are tested using Finite Element Analysis (FEA). This sophisticated computer modeling enables us to analyze the design under a simulated load and optimize for strength, fatique resistance, and stiffness while minimizing mass to decrease rotational inertia. The wheels are designed to meet or exceed SAE, JWL, and VIA standards. Includes Forgestar center caps. All wheels have the "deep concave" profile. 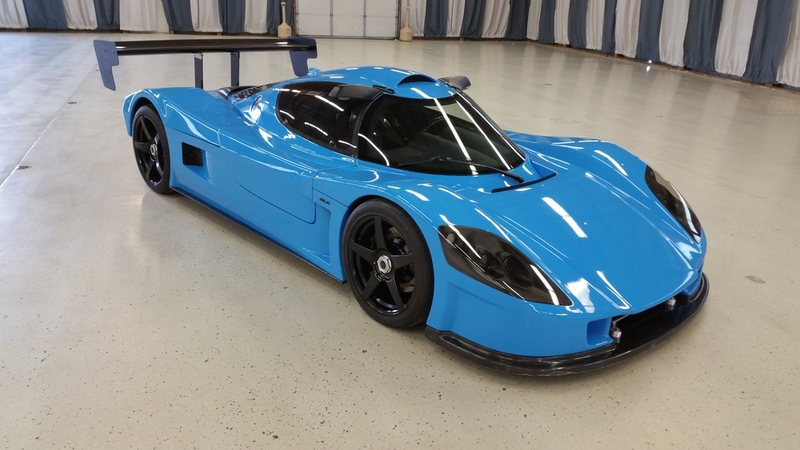 The Corsair C10 wheels are an optional upgrade and they are the choice for many Pro SCCA and IMSA constructors. The extended back bell and narrow drop center fit large diameter performance brakes, including the optional track or race brakes available on the SL-C. The Monoblock construction, and forgings from 6061-T6 aluminum result in extremely lightweight wheels. They are designed to pass a 3,000 lbs. (per wheel) cornering fatigue test load at 200,000 cycles. Shot-peened for exceptional strength. Sold without center caps (they can be obtained from CCW if needed). These are the wheels the factory used on their championship-winning SL-C race car. Instead of 5 individual wheel nuts, this option uses an adapter to convert the existing SL-C or GT-R hub to use a single, very large nut. 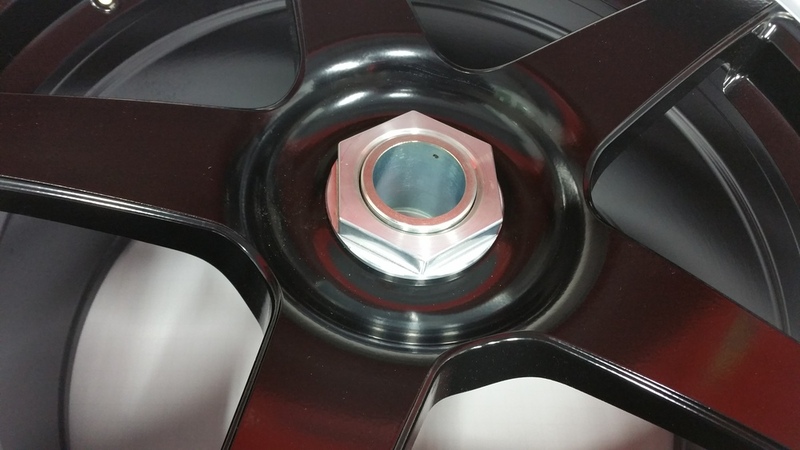 This is common practice for many sports and formula race cars, especially where wheel/tire changes are done during a race- having just one large nut makes wheel changes much faster than a comparable wheel with 4 or 5 wheel nuts or bolts. All Formula 1 cars use this type of wheel fixing, as do all of the top-class GT cars in the IMSA and WEC series. Although Forgestar doesn't supply centerlock wheels, Superlite takes un-machined wheel blanks from Forgestar and machines them for a centerlock application. After machining the wheels for a centerlock bore, along with the correct offset, and 5 drive pins, Superlite then machines the adapters from steel billet, and the nuts from aluminum billet. A set of stainless steel drive pins completes the option. Installing them is easy, but you will have to acquire a large socket and appropriate torque wrench to correctly tighten the large center nut. Centerlock wheel on a Superlite SLC. Closeup of a Forgestar CF5 wheel converted to centerlock. Once you choose your wheels, the right tires make all the difference. To help prospective buyers choose the correct-size tires, we have listed the recommended tire sizes with the available wheels below. In general, in terms of overall width, any tire that the tire manufacturer says will fit on a 12" rim width will normally fit on the rear of the car. The critical dimension on the SL-C and GT-R is diameter. You should shoot for an overall diameter of around 26.5 inches. More than 27" in diameter for a rear tire should be avoided, as it will make removing and installing the rear wheel/tire assembly much more difficult, if not impossible, without modifying the body. Calculating tire diameter is easy: either look it up on the manufacturers website, or use any of several online tire size calculators like this one. As mentioned above, be aware that tire sizes do vary among manufacturers, and even within a single line, so treat the calculators with some skepticism, and try to validate the actual installed size if you are pushing the envelope.